Vontimitta is one of the mandal head quarters of Kadapa district lies at a latitude of 14 degrees 2 minutes, and longitude of 79 degrees 23 minutes E. The small town is situated about a distance of 28 kilometers on the Kadapa- Chennai main road. 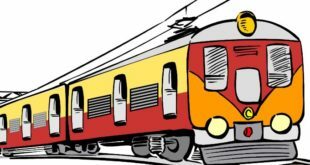 Vontimitta has a railway station in between Kadapa (Cuddapah) and Rajampet railway stations on Chennai-Mumbai railway line. Tirupathi airport is the nearest airport. The temple of Sri Kodandarama is situated towards the south west of the Vontimitta village. The temple had a spacious courtyard and three gopura gateways. 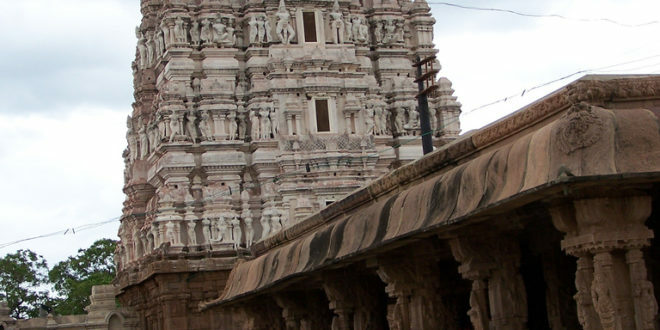 The temple was developed by the Cholas and Vijayanagara kings. A unique feature of the temple is, the absence of the Hanuman Idol, which makes it a one-of-its kind temple in India. So that it is noticeable that to the east of the eastern gopura of this temple is the temple of Sanjeevaraya (Sri Hanuman) facing west to the main temple. The Vontimitta temple is famous for its architecture and art. The French traveler Traverniar described the temple as “one of the grandest pagodas in the whole of India”. The temple is considered to be centrally protected monument. Vontimitta is said to have been “Holy kshetra” located in between two great kshetras of the south india – Srisailam and Siddavatam. This holy place was also called as Dandakaranya Kshetra. In “Tretayuga” Rama accompainied by Sitha and Lakshmana went to the to fulfill the words of his father Dasaradha. One mid day, Rama to quench the thirst of Sitha shot his arrow in to the earth, through which sweet water sprang out. Later this perennial flow of water was made to form two small tanks which are called “Ramatirtham” and “Lakshmanatirtham” .Rama along with his consort and brother Lakshmana toured all over Dandakaranya and mwt many ‘Rishis’ . The rishis appealed to Rama to free them from the atrocities of demons. Rama blessed them all and promised to punish the demons. This” Anugraha” form is said to be the present image of Rama, Sitha and Lakshmana enriched in the sanctum. According to another legend the images are said to be have been installed by Janbavantha. Vontimitta was associated with great telugu poets. Bammera Pothana (AD.1405-1470) a great ramabhaktha poet lived in Vontimitta. He wrote Mahabhagavatham in telugu at Vontimitta. We can find astone image of Pothana in the mahamandapa of the temple. Another poet Ayyala Thipparaju who wrote ‘’ Sree Raghuveera Satakam’’ ,was the court poet of Proudha Devaraya(1423-46) and also native of Vontimitta. Ayyalaraju Ramabhadra (grandson of Thipparaju)one of the ’’ Astadiggajas” of Sri Krishnadevaraya, had close association with Vontimitta. Andhra Valmiki Sri Vavilakolanu Subba Rao (AD. 1863-1936) ,a great poet and saint of modern age did great service to the temple. On the pillers of the mukhamantapa we can find beautiful sculpture. The scene of bhagavatha ,Lord sri Krishna killing of the demom poothana ,Kaliyamardhanam, Gopika vastrabharanam, lakshmana moorcha and Sri Anjaneya flying with Sanjivi hill scenes of Ramayana, are among the great sculpture works in the temple. The name of the village Vontimitta is said to be derived from the names of two persons “Vontodu and Mittodu”. These two helped a king named “Kampana” who camped with his army at this place, by showing the water of Ramatirtham to quench the king and his fellowmen’s thirst. Then the king pleased at them and built a village after their names. King Kampana may be the Kumara Kampana, son of king Bukk raya 1. Vontodu –Mittodu with later became “Vontimitta”. Kampana also built a temple of Ragu Rama. Another version is that the village is so called because the images of Rama, Sitha and Lakshmana are carved out of a single stone with a common pedestal. Vontimitta is also called ‘Ekasilanagaram’. in literature “Eksila” means the single stone. However the following account seems to be more reasonable and sounds true. The village is situated on the high level ground by the side of a small hill. The village got its name from that single hill which in telugu is “Vontimitta”. (vonti=single,mitta=hill). Srungeesailam, Mukundasramam are also impartant places to visit in Vontimitta. I am from Mumbai wishing to visit the Kodandarama temple in Vontimitta. Are there any hotels in Razampeta or Ontimitta where I can stay for a day. Hair Mani, this is KISHORE. It would be better to stay in Kadapa. You can get good hotels and 28 or 29 kms for away from Ontimitta. You can also visit Devuni Kadapa which is foot steps to Tirumala. You can also visit Siddoutam fort which is 20 kms away from Ontimitta. Thanks and all the best. Kadapa is the best place to stay. It is also a district head quarters and also only 28 kms from vontimitta. In Rajampeta also you can find lots of hotels to stay. 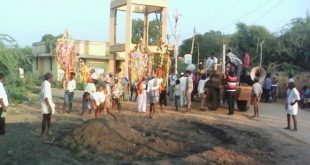 One advantage here is, while you coming to Vontimitta, on the way you can visit Tallapaka, which is birth place of “Annamayya”. If I have to go from hyderabad, whats the best way? Can u please help? The best way to reach vontimitta is by bus/ train. Reach kadapa by bus/ train and from there it is 30 minutes journey. It is located on kadapa-tirupati highway. Vontimitta lies on It’s way from Chennai – Kadapa. Distance between Vontimitta & Kadapa is 12 KMs. Vontimitta comes before to Kadapa while travelling from Chennai. can anybody tell me the temple timings? ?